This handmade Cuban cigar has a thin gauge, a small ring size of 39 and presented as two layers in a Boite nature of 25 cigars. Montecristo Especial has a perfect draw and such a pre-light earthy aroma. It reveals a sweet milky, creamy chocolate flavor blended imperceptivity. Although small, it has a strong tobacco taste and beautiful construction favorable to anyone who wishes to enjoy a great habano. 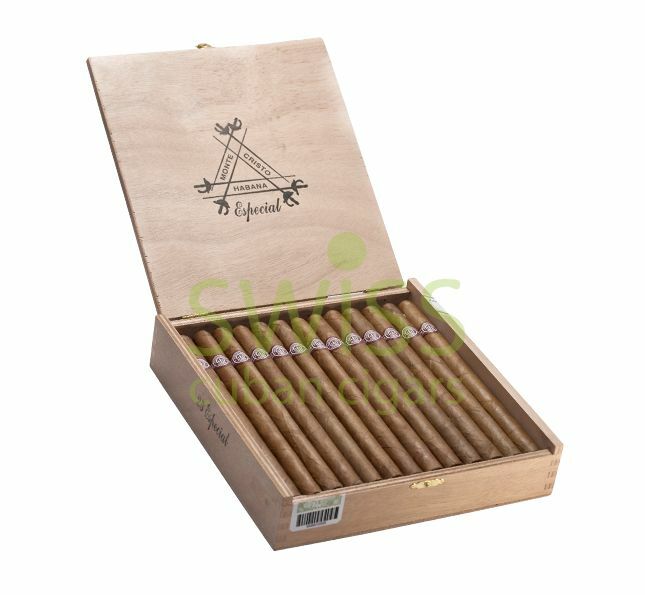 It is one of the best Montecristos you can ever smoke based on its taste and construction. If you have not added Montecristo Especial to your humidor, then it is the perfect time to get it.